I'm making my Minneapolis debut in the coming weeks. 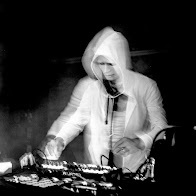 Minneapolis has always had (in my mind) an incredible electronic music scene. It's time to add my voice to the history of this city for the System Crew. Lots of new material from Eexxppoann and my new Ep, "Broken Politics"...Election season has been hell. Never TRUMP.